Holly Kavonic was born in Johannesburg, July 1985, but spent her childhood living in Ballito, KZN, South Africa. From an early age she began to draw and paint, with an enthusiastic drive that persisted and flourished throughout her school years. High school was a much more defining time as she excelled in Art History and Practical Work. Fervently working in and out the classroom, she drew, sketched and painted. In 2000 she settled upon oil painting as her major, then strove to excel in this particular form of art and eventually graduated in 2003. Following graduation she then proceeded to travel the United States and upon returning to South Africa, launched herself into a Computer Graphics Course at the Hirt & Carter Training Facility in Durban and worked in that field for over a year. 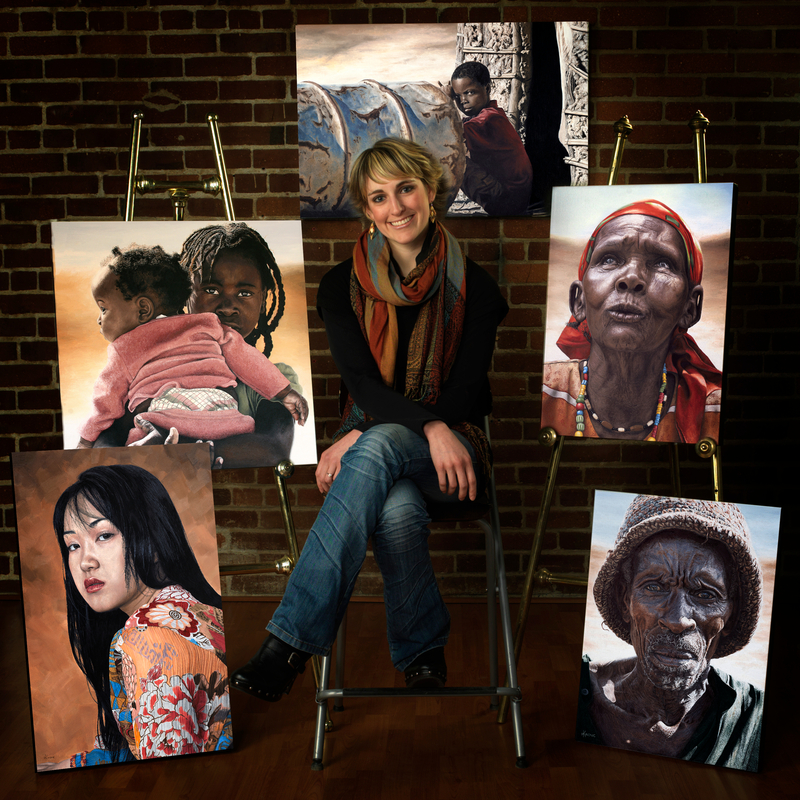 In 2007 she decided that while she could always use her artistic talents in the designing world, she could make a much larger impact on society through Fine Art. That same year, Holly proceeded to dedicate herself to the completion of four particular paintings that would later attract the attention of her future mentor. In 2008, Louis Bruwer; a well-respected gentleman and patron of the arts in South Africa, contacted Holly while she was living abroad in the Unites States. Having a deep interest in Holly’s work and with a capacity for great vision, Louis Bruwer was the spark that ignited Holly’s career. Now residing in the Sierra Mountains of California with her husband and baby daughter, Holly’s work may now be viewed in Pacific Crest Gallery in Heavenly Village in South Lake Tahoe, California as well as in Artisan Gallery in Durban, South Africa. “For me, abstract reductions of human life and the curtailment of detail, tend to lack the richness of the meaning the human condition holds. I feel that most late modernism art pieces, although often pleasing to the eye, do not always have the power or conviction to move us deeply. Through highlighting, for example, social injustice or cultural strength and prowess, I seek to go beyond this and to find fuller meaning; to display the magnificence of beauty and life itself, by combining deliberative inspirational craftsmanship with a studious and meditative approach.